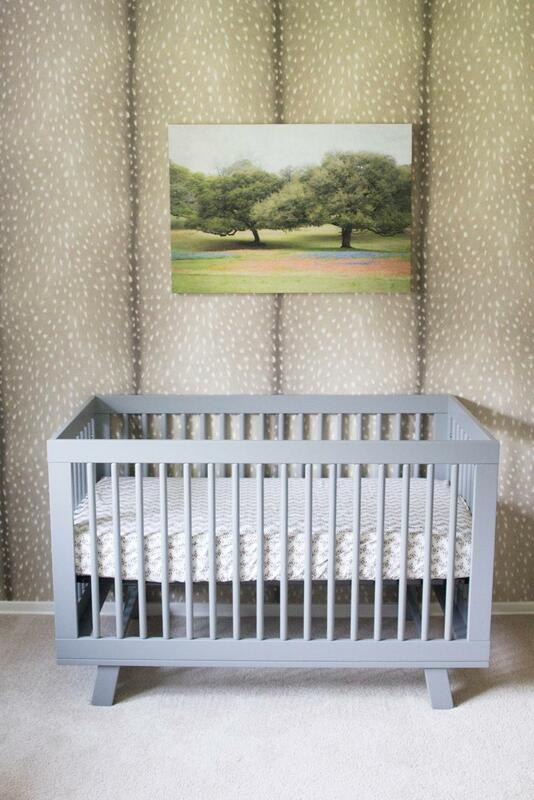 Fawn wallpaper was the inspiration behind this modern cowboy-themed nursery for a baby in East Texas, Dina Holland said. The first in an occasional feature on home-design and garden bloggers. 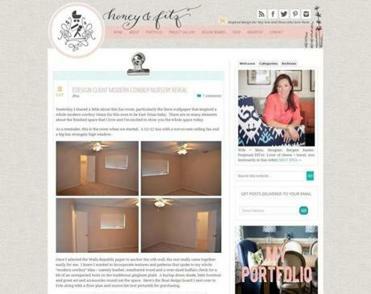 Dina Holland started Honey & Fitz, as many home bloggers do, as a way to gab about what she was doing with her house. She never thought it would be a career, just a place to be creative and keep her Massachusetts-based family updated on her life while she was 700 miles from home. Holland was living in Raleigh, N.C., with her husband and son and working in digital advertising. 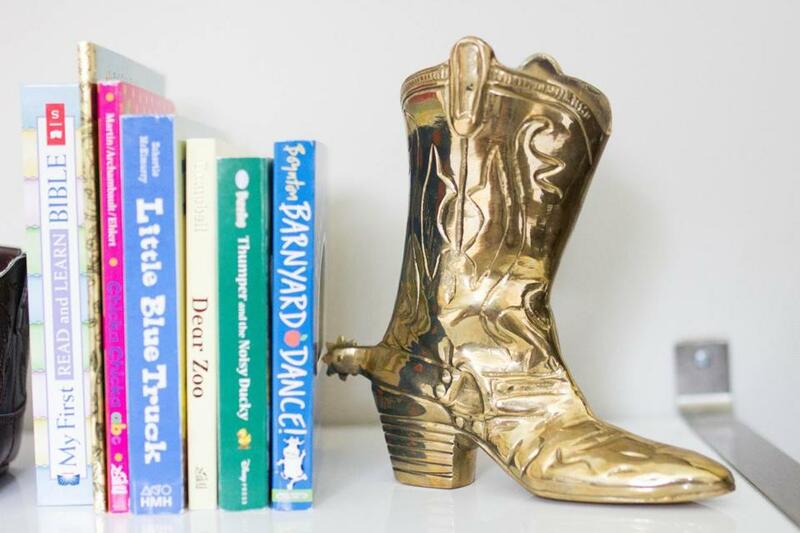 Honey & Fitz soon became her job (you know, in addition to raising a child), and when she moved back to Massachusetts, the blog came with her, so to speak, and a design-consultation business was born. 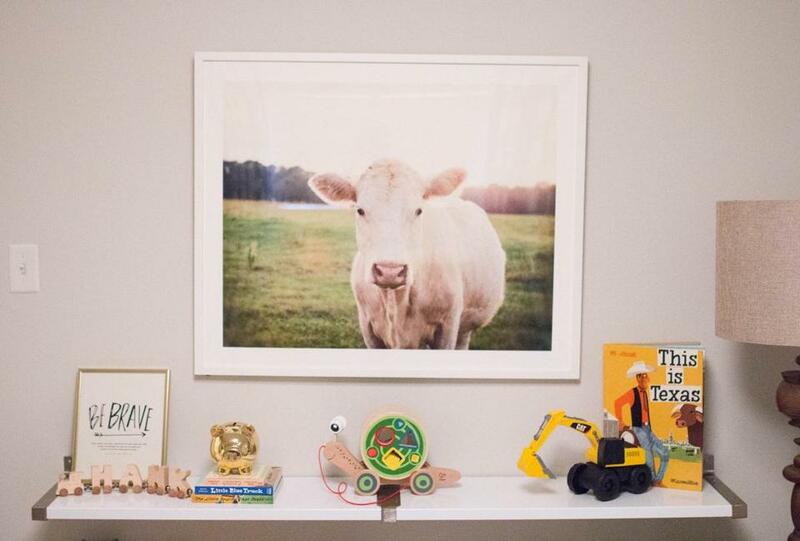 Honey and Fitz, with before photos of the cowboy nursery. 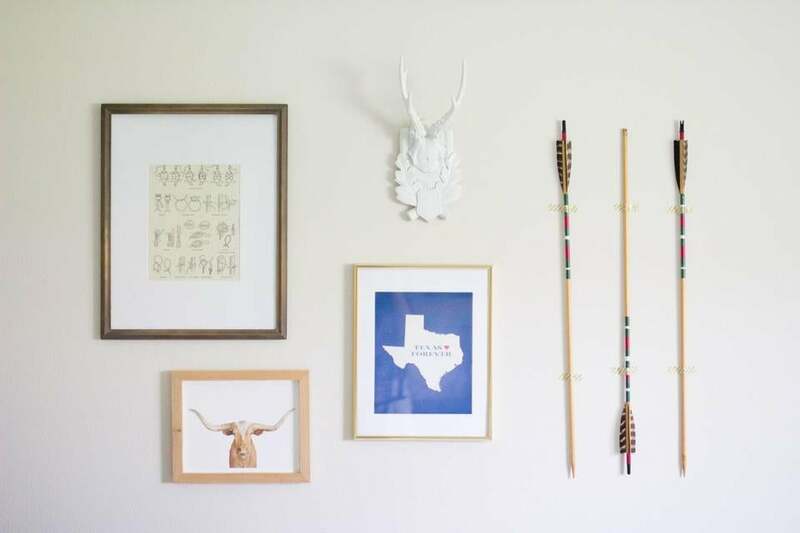 On her blog, she shares everything from bathing suit styles to rooms she’s designed for clients to the ups and downs of her own renovations. (They live in a century-old home that has needed a lot of TLC). Here she talks to the Globe about living in a fixer-upper, her favorite places to shop, and why she loves New England architecture. 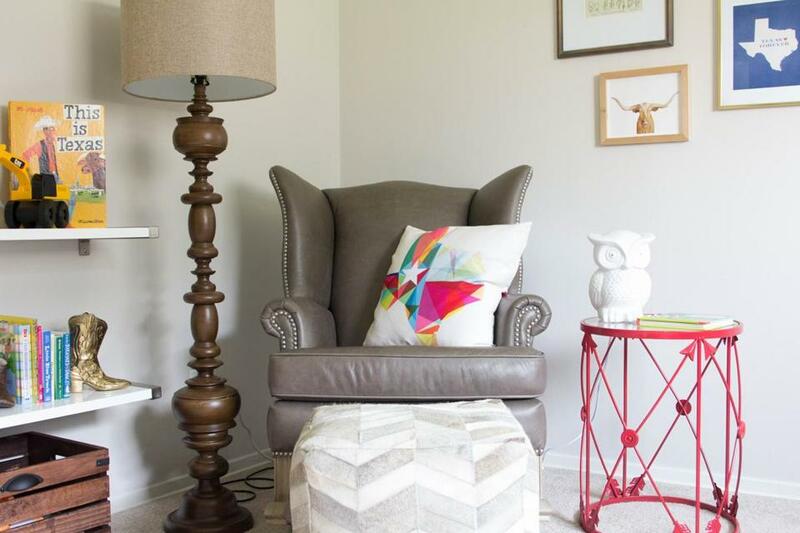 It is so overwhelming for people to make decisions about how to style their homes. How do you hope to help them? You see these pictures on Pinterest or magazines and you’re like, That was awesome, but how do I get there? People don’t realize it is a process. Even when I work on family rooms for clients, it can take eight months to get there because things take a long time to get in and you’re making decisions based on other pieces. On the blog I have showed, OK, this is layer one. This is what we did, and then I added this and this, and then this didn’t work. I took this away. What tips do you have for people trying to create a space they love? Take the time to figure out what functions the room needs to have. 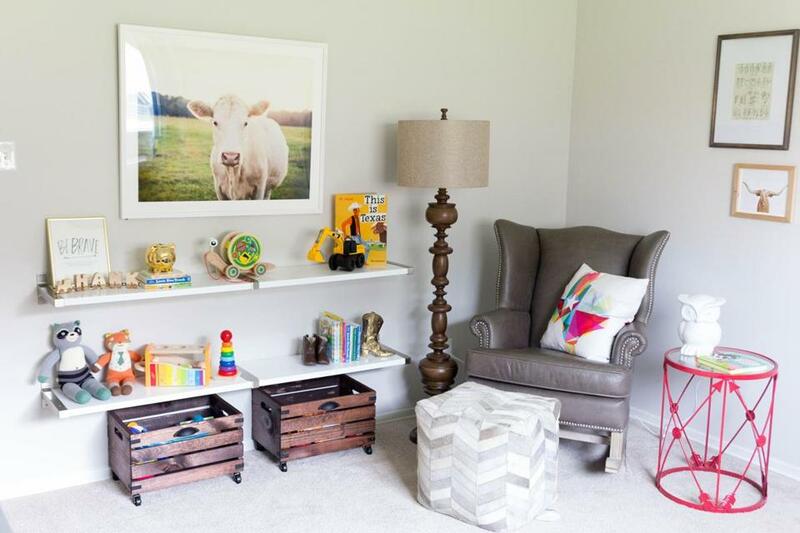 For example, kids’ bedrooms need to function as homework, storage, and sleeping space. Then you can set up zones. As you think about a floor plan, say: “This is going to be where we read. This is going to be where we store toys. This is going to be where we watch TV.” Even if you don’t have much space to work with, a zone can be as simple as, “These are two baskets in a corner.” I think that once you start to break a room down like that, it becomes a little bit less daunting. From there you can get to a floor plan and the fun stuff: How do you want the room to feel? Do you want it to be vibrant and kind of like exciting, or do you want it to just be chill and relaxing? You design a lot for people with kids. What do you have to envision differently for someone with that life? Functional. I know you don’t want the kids to drink juice and eat goldfish on this couch, but they’re going to. You like old New England homes. Why? We all have these weird, quirky spaces in New England, so you’re always designing around something. When I go into an older Cape with dormers and everything, it’s like a workout for my brain. I’m thinking, Where will the bed go in this room because there’s a corner here, but a radiator there, and a dormer there? I think it’s charming and a lot more interesting, but it’s definitely harder. My son has this beautiful room with this bay window, stained glass above it, but there isn’t a great place to put a bed. I resisted putting it in front of the window, but now that I have, I love it. It’s like he’s a little king up there. What are your favorite local places for inspiration and supplies? Ramble Market in Waltham for all kinds of vintage treasures, Zimman’s in Lynn for more fabric inspiration than you can imagine, and any HomeGoods.